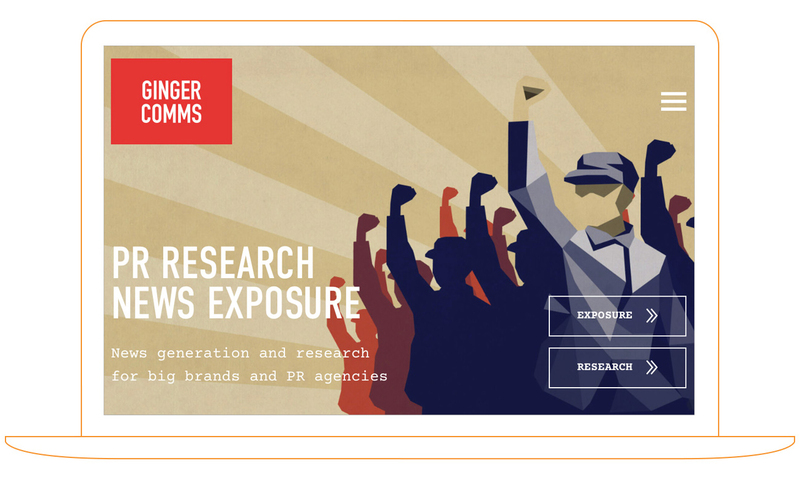 Over the last year and a half we have been working with Ginger Comms, an agency specialising in news generation and research for big brands and PR agencies. Our first piece of work for the company was back in January 2015 when we did a cosmetic update to their web design, reprogramming it and setting up for the huge amount of content it now holds – including every piece of press and online coverage they’ve had since their launch. 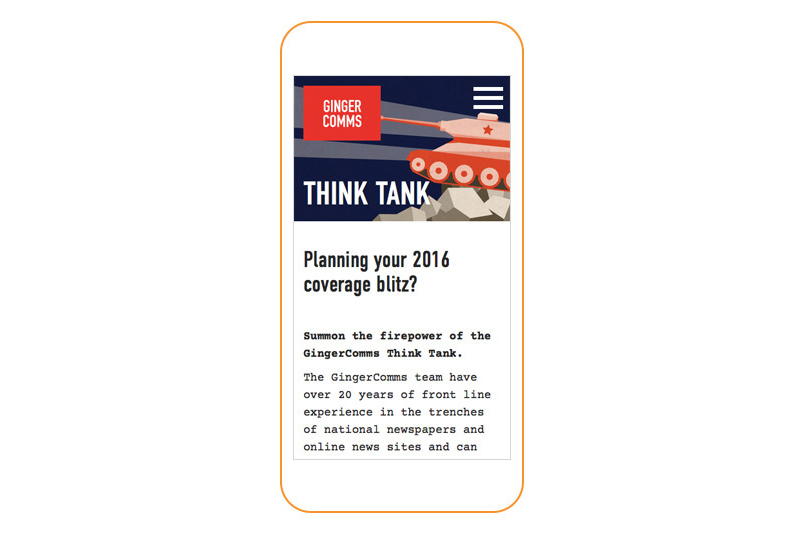 However, this is the big one, and we’ve started from scratch for 2016, meaning a completely new Ginger Comms web design for a new year. Central to the success of the Ginger Comms web design project was a use of bold, incredibly vibrant illustration. A huge part of Ginger’s brand personality is the concept of their somehow being in a dislocated Eastern European quasi-communist state – and the design work we’ve been tasked with continues in that vein. This idea of being a tinpot dictatorship (albeit in Dulwich), seen through a more kitsch than menacing filter, runs through their site and promotional materials, so we’ve created a bespoke set of illustration on the site for this relaunch. 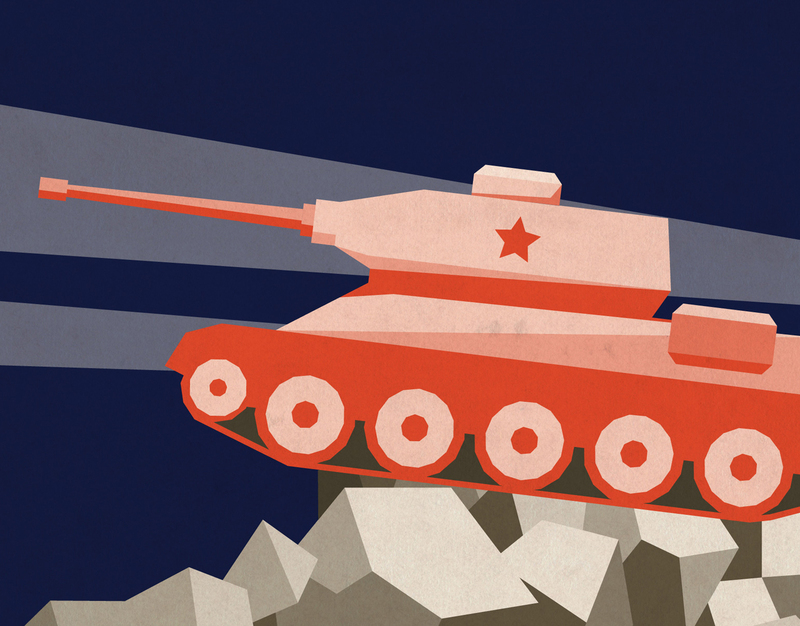 Completed in-house, our new brand illustrations play with this Soviet aesthetic and run throughout the site. Occasionally maligned, the e-Newsletter has become an increasingly important marketing tool for businesses. But what makes a really successful one? That might be a topic for a blog post all of its own, but the Ginger Comms one certainly has the key elements that make these things really work. With its sparky tone of voice and one-eye-winking references to current events, it has become something that their clients and target audience enjoy reading, rather than sending to the dreaded Junk Mail folder. 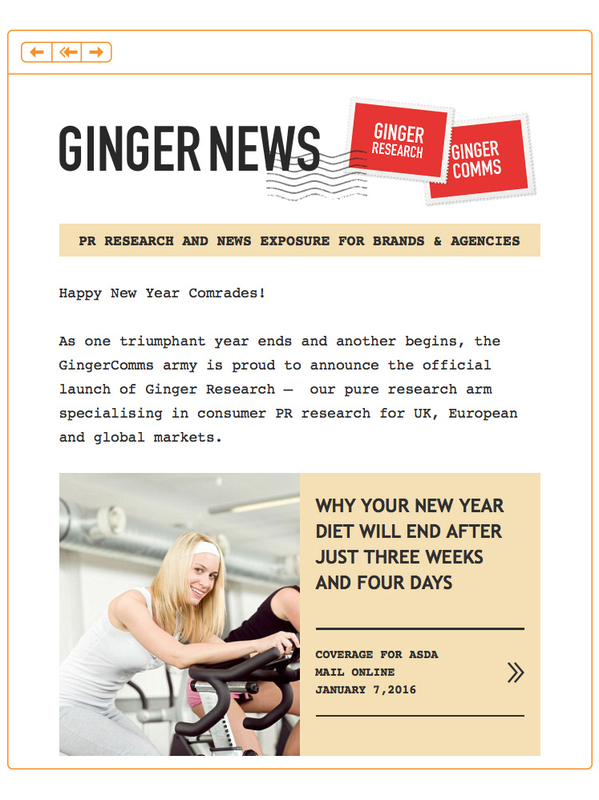 In tandem with the new website launch, we’ve reworked the layout of the newsletter so it has more of a balance of the copy we know clients enjoy and the coverage that Ginger have achieved over the past month, as well as recent blog posts – all of which link neatly back to the website. This new layout has been inspired by tabloid website layouts which tend to be adopt a more ‘mixed media’ approach of text, photos, promos of fashion items featured in featured photos, plus relevant related content. With its bold and incredibly distinctive personality, this project is a great case study of design project for a brand who knows who they are and has an irreverent attitude. We’d love to work with more communications agencies. 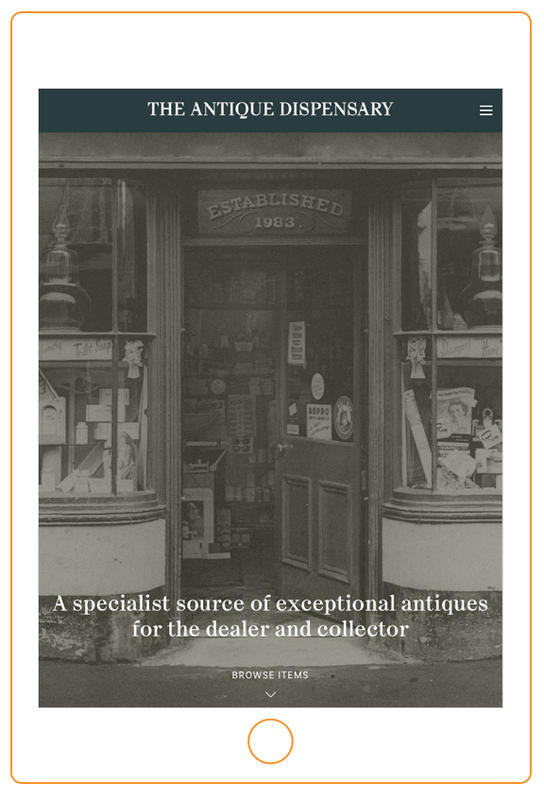 If this project is relevant to your marketing business and you think we may be able to help you, please contact us.